The December Visa Bulletin has been released by the Department of State. Every single Family-Based category will advance at least 1 week, with most categories advancing between two weeks and one month. F2A Mexico advanced over 3 months, from September 22, 2012 to January 1, 2013. 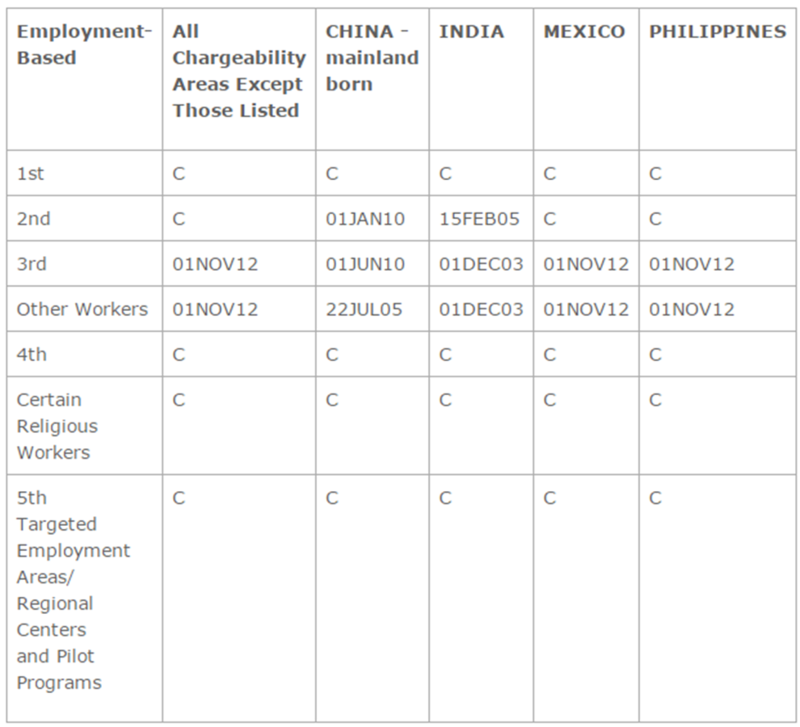 In the Employment-Based categories, EB3 and Other Workers in all chargeability areas except China, India, Mexico and the Philippines advanced from June 1, 2012 to November 1, 2012. EB3 China advanced to June 1, 2010 and EB3 Mexico and Philippines both advanced to November 1, 2012. Other Workers from Mexico and the Philippines also advanced to November 1, 2012. The complete visa bulletin charts for Family-Based and Employment-Based Preference Categories as well as the Department of State’s predictions for visa availability in the coming months are below. Family Based: Employment Based: Advancements in all categories were in line with the future guidance issued in the November 2014 Visa Bulletin.